Absolute Zero Loch A Chroisg, Achnasheen, Scotland. With temperatures plumetting to minus 23 degrees celcius and freezing fog settling over Loch a Chroisg I expected a savage hoar frost. 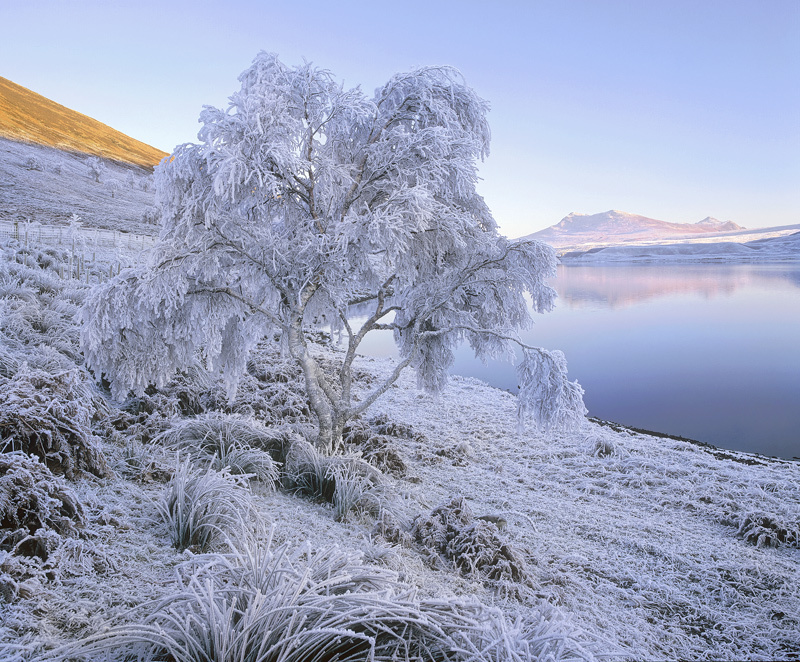 When the mists slowly rise from the loch I was rendered speechless, nearly two inches of rigid white crystalline frost coated every twig, branch and leaf stem. I was particularly taken with this bowed birch tree residing by the loch and juxtaposed a slash of warm light on the left side hill and again in the mountain backdrop with the frozen blue frost.